On January 26, 1942, an influx of Yanks (the term used by the British to refer to their American cousins across the pond) arrived on British shores. The vanguard of 4,000 American servicemen landed in Belfast, Northern Ireland. By the end of the Second World War, approximately 1.5 million American troops were stationed on the British Isles or had passed through on their way to the theatres of war. 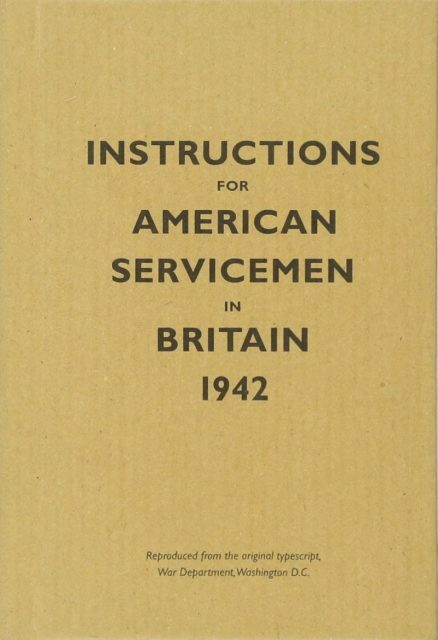 Those were the opening words in the 32-page GI Handbook entitled Instructions for American Servicemen in Britain. Now, it may seem strange that such a manual was even needed when two cultures are so similar. However, as we all know, despite sharing the same language, common law, and religious freedom — to name but a few similarities — there are some significant differences between the two nations and their people. The above information was one bit of advice the American planners deemed important enough to mention. And it made sense. 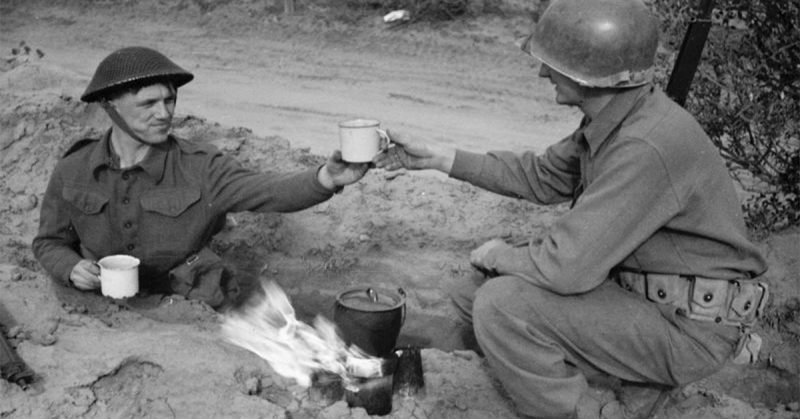 To this day, a “cuppa” or a good cup of tea is tantamount to Britishness and their way of life. On the other side of the coin, the Americans made a darn good cup of coffee. 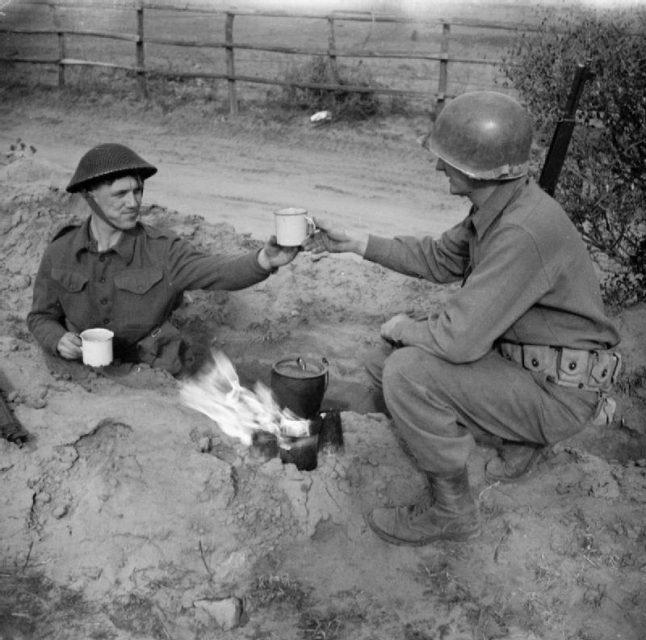 A soldier with the 2/7th Middlesex Regiment shares a cup of tea with an American infantryman. The most important message in the booklet for American GIs was not to act all high and mighty or behave with the misconceived belief that they were the cavalry coming to save the day. By 1942, the UK had held its ground against Adolf Hitler for three years more or less on its own. 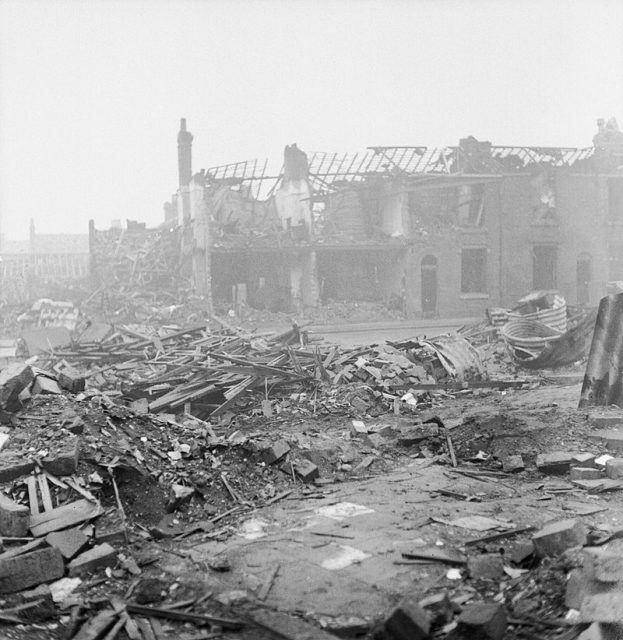 The nation had lost about 40,000 people due to the Blitz, but still they held on with unwavering resolve. There were initial setbacks on all fronts — in particular, the defeat of the British Expeditionary Force prior to the capitulation of France. But then things had picked up. The Royal Navy had sunk numerous German warships, the Admiral Graf Spee and the Bismarck to name but two. They had stopped the indefatigable advance of German general Erwin Rommel, also known as “the Desert Fox,” in the North African campaign. 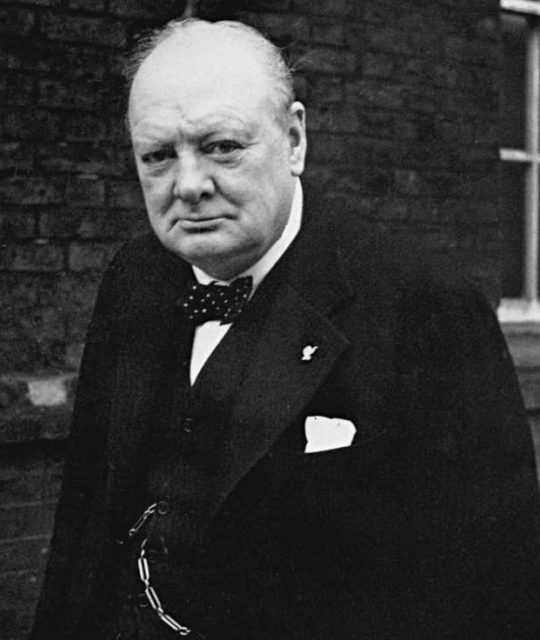 Furthermore, British morale was high thanks to the unwavering staunchness of the population fueled by Prime Minister Winston Churchill’s patriotic and courageous rhetoric. There was rationing, towns had been bombed, and the Nazis were the master of nearly all of Europe, but a stubborn resolve to survive and resist lingered on. So, when it was time for the Americans to arrive, the British were excited, curious, and maybe even wary. They did not know what to expect, and it was the same for the Americans. The British thought of the Americans as brash and, in some cases, vulgar, although there were also more flattering stereotypes like tall, well-dressed, and swanky. The Americans considered the British as stuck-up, imperialistic, and most definitely polite. 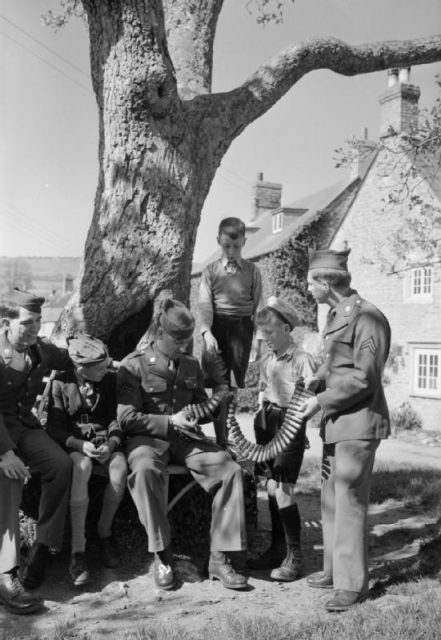 US Troops in An English Village. 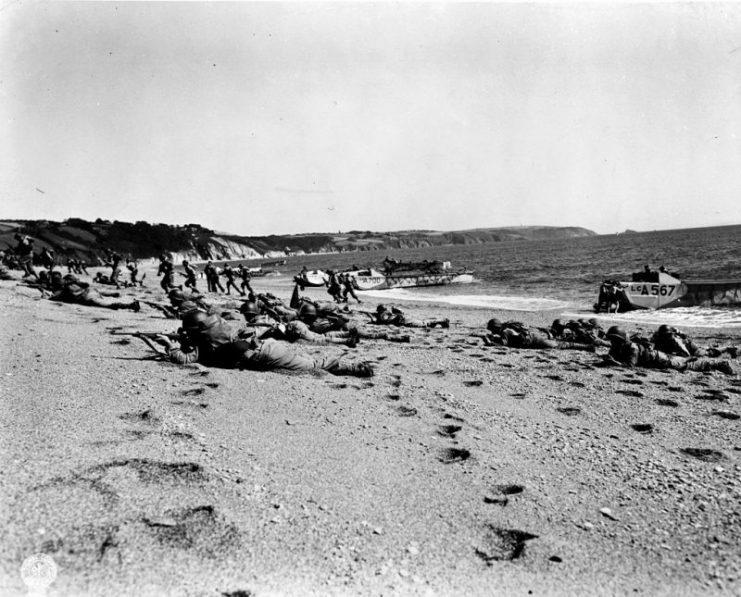 American troops landing on a beach in England during a rehearsal for the invasion of Nazi-occupied France (“Exercise Tiger”). For one, British women certainly loved the visitors from overseas. The American penchant for spoiling a girl went down particularly well. 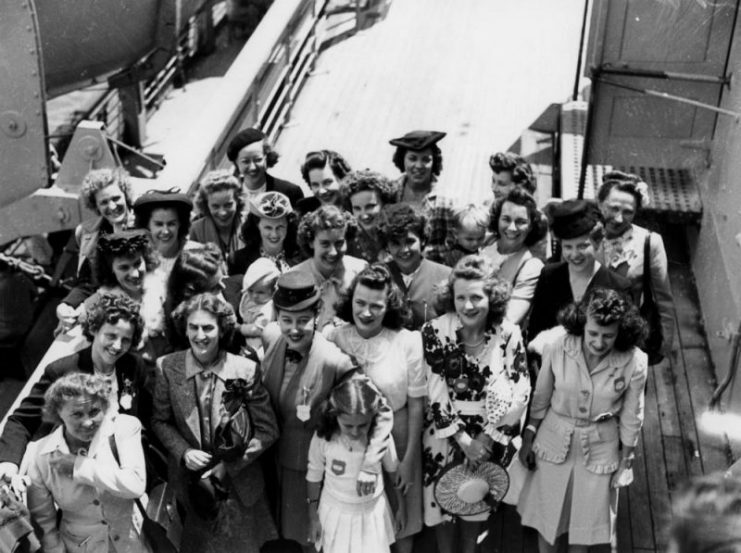 Sixty thousand British women married an American serviceman, eventually moving to the US after the war. 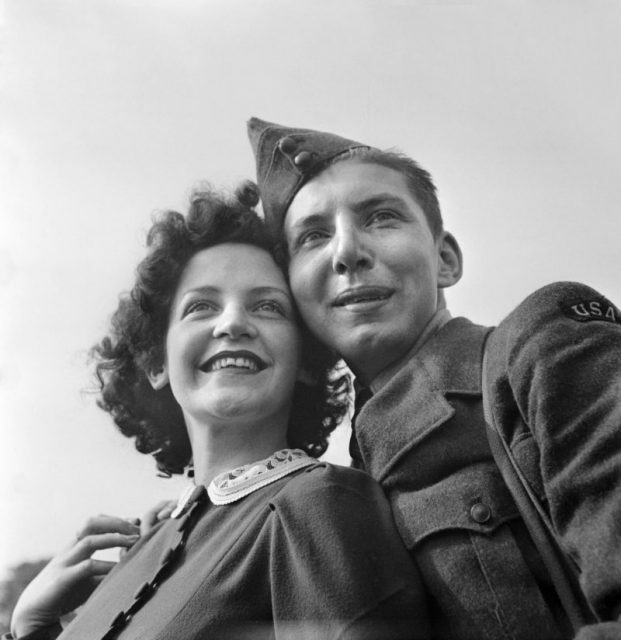 A US serviceman and a British girl in Bournemouth, England, 1941. 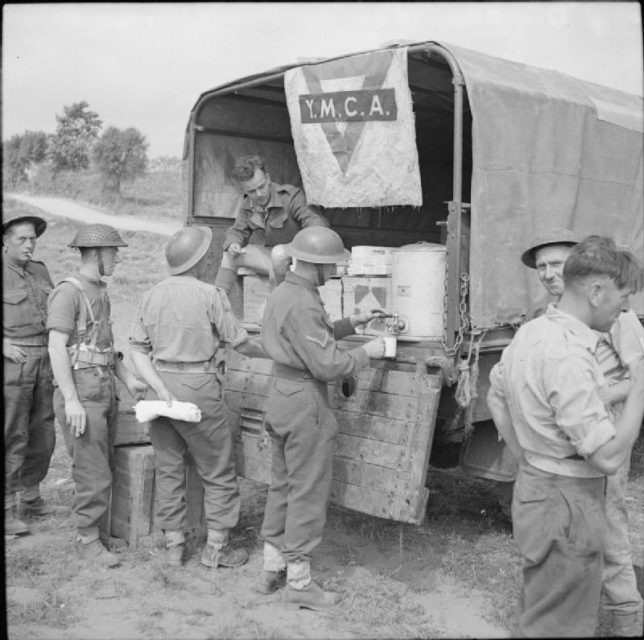 The British Army in Italy 1944 A YMCA tea car ‘in action’ in the Anzio brodgehead, 4 May 1944. Britain was called the “Cradle of Democracy” in the guide for GIs, and while the Americans had to put up with the occasional tea break, which the British insisted upon even in the heat of battle, the two sides worked together to defeat one of the world’s most heinous tyrannies. Although cricket never really found an audience in the US like American football did over in Britain, the two nations managed to maintain a special relationship after the war that continues to this day. Despite tea or coffee, an ocean or an accent, it was the similarities that ultimately prevailed, creating the most powerful allied military force that ever existed.